Located in the highly sought after Sunnymead is your remodeled 5BR 3BA family home. 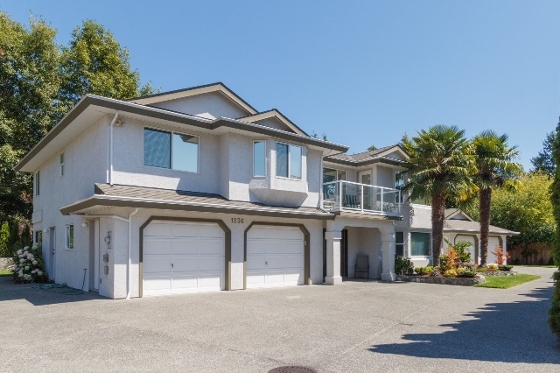 Boasting over 4,000 sqft on a large, quiet set back lot with ample parking. Enter into the grand entrance and head upstairs to the spacious living and dining room. Large windows invite in the natural light. The kitchen is a Chef’s dream with new counter tops, flooring and appliances. Master en-suite includes soaker tub and stand alone shower. Large den/office or (6th bedroom), and a large 2 bedroom suite is perfect for extended family. Over $33,000 in upgrades done in the past year, including new tiles, paint, faucets and a newer 40 year roof. Heat pump heating and cooling. Professionally landscaped backyard, 5 garages and RV parking. A must see. Call Today!